There’s another one picking up funding today in Spring Health, a platform for smaller companies to help their employees get more access to mental health treatment. The startup looks to give employers get access to a simple, effective way to start offering that treatment for their employees in the form of personalized mental wellness plans. The employees get access to confidential plans in addition to access to a network and ways to get in touch with a therapist or psychiatrist as quickly as possible. The company said it has raised an additional $6 million in funding led by Rethink Impact, with Work-Bench, BBG Ventures, and NYC Partnership joining the round. RRE Ventures and the William K. Warren Foundation also participated. The startup bills itself as an online mental health clinic that offers recommendations for employees, such as treatment options or tweaks to their daily routines (like exercise regimens). 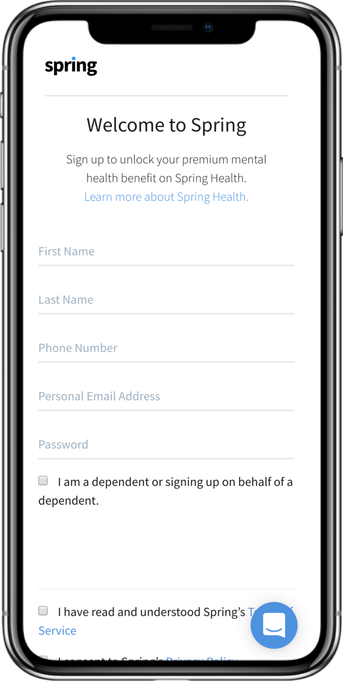 Like other machine learning-driven platforms, Spring Health puts a questionnaire in front of the end employee that adapts to the responses they are giving and then generates a wellness plan for that specific individual. As more and more patients get on the service, it gets more data, and can improve those recommendations over time. Those patients are then matched with clinicians and licensed medical health professionals from the company’s network. However, Spring Health isn’t the only startup looking to create an intelligent matching system for employees seeking mental health. Lyra Health, another tool to help employees securely and confidentially begin the process of getting mental health treatment, raised $45 million in May this year. But Spring Health and Lyra Health are both part of a wave of startups looking to create ways for employees to more efficiently seek care powered by machine learning and capitalizing on the cost and difficulty of those tools dropping dramatically. And it’s not the only service in the mental wellness category also picking up traction, with meditation app Calm raising $27 million at a $250 million valuation. Employers naturally have a stake in the health of their employees, and as all these apps look to make getting mental health treatment or improving mental wellness easier — and less of a taboo — the hope is they’ll continue to lower the barrier to entry, both from the actual product inertia and getting people comfortable with seeking help in the first place. “I think VC’s are realizing there’s a huge opportunity to disrupt mental health care and make it accessible, convenient and affordable. But from our perspective, the problem with the space is that there is a lot of unvetted, non-evidence-based technology. There’s a ton of vaporware surrounding AI, big data, and machine-learning, especially in mental health care. We want to set a higher standard in mental healthcare that is based on evidence and clinical validation. Unlike most mental health care solutions on the market, we have multiple peer-reviewed publications in top medical journals like JAMA, describing and substantiating our technology. We know that our personalized recommendations and our Care Navigation approach are evidence-based and proven to work.